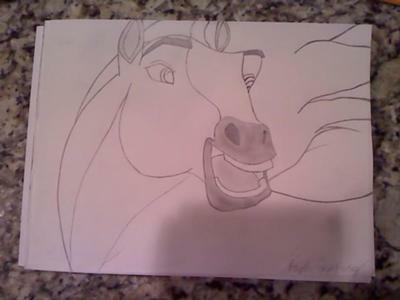 Here's my horse art... I love Spirit! that is GREAT!! what did you use for the muzzle, because I know that pencil cannot look soft like that... did you use one of those smudge thingies? GREAT PIC!